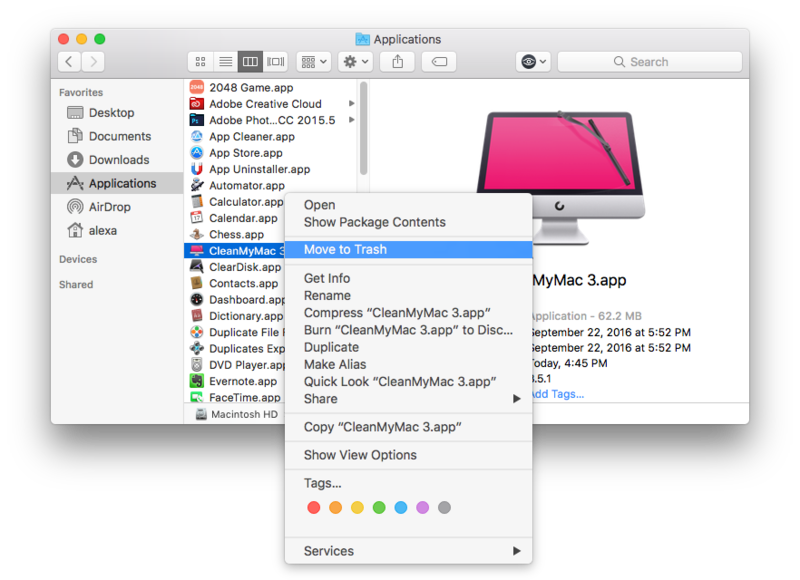 Recently we found a couple of relevant questions on StackExchange platforms: “Uninstalled CleanMyMac still shows notifications,” “CleanMyMac has left folder actions after uninstall.” That’s why we decided to explain how to completely remove CleanMyMac. How to delete CleanMyMac 3 manually. How to uninstall CleanMyMac with a permanent uninstaller. Quit the application and close all the processes that may be working in the background. For this use Activity Monitor. Move CleanMyMac to Trash. Use one of two methods to complete it. You may be asked to enter your administrator password to confirm the activity. Go to Finder → Application folder → Find CleanMyMac → Open context menu → Select “Move to Trash” or use Command + Delete shortcut. 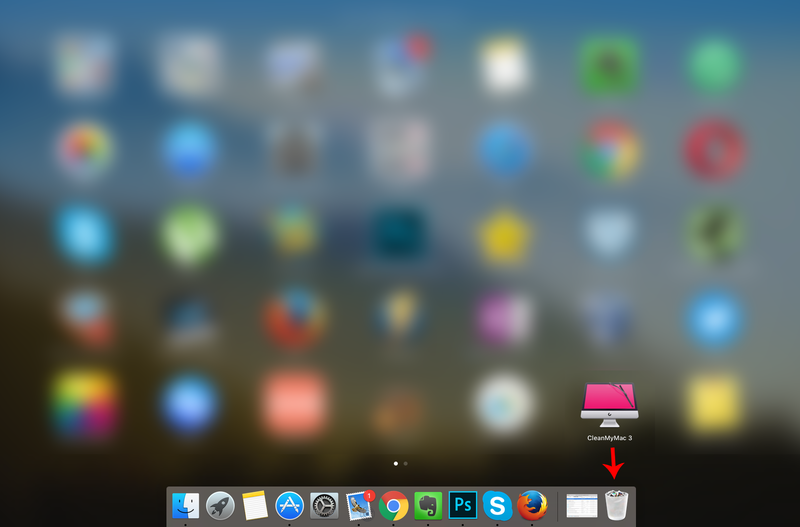 You can also go to Launchpad → drag and drop CleanMyMac icon to the Trash bin. Go to the Library Folder and find and remove all files related to CleanMyMac. Check the next folders. Don’t forget to empty the Trash to remove the files permanently. 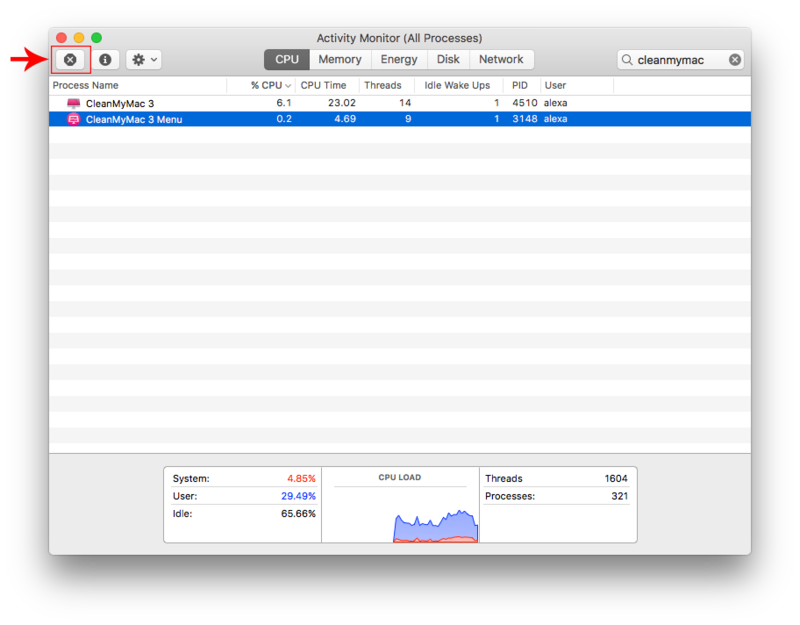 If the above method didn’t help, then some files may still be left on your Mac. You should check the hard disk for leftovers. For this purpose use a special application App Cleaner & Uninstaller, which has a great feature – it finds all the remains of already removed apps. Scan your apps and go to Remains tab. 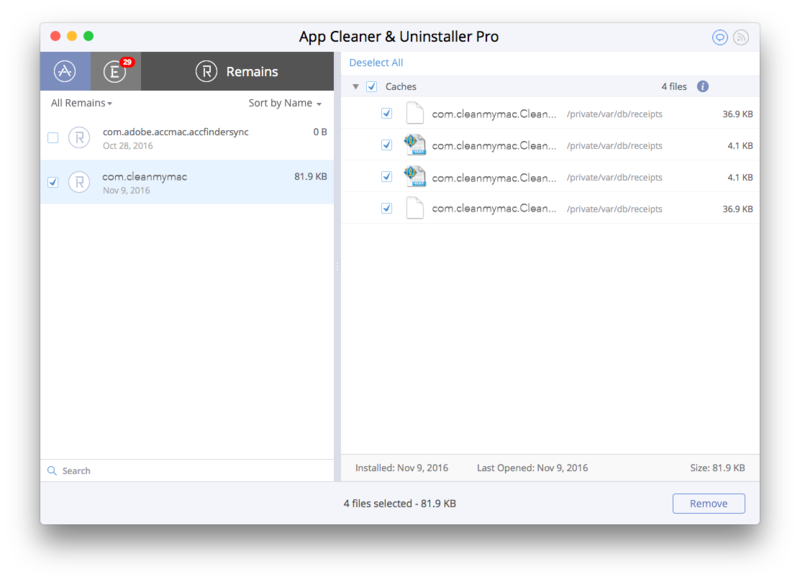 With App Cleaner & Uninstaller Pro you can completely remove any software from Mac, find remains, and manage extensions.